Is Murphy Oil Corporation (MUR) A Good Stock To Buy? Hedge funds and other institutional investors have just completed filing their 13Fs with the Securities and Exchange Commission, revealing their equity portfolios as of the end of September. At Insider Monkey, we follow over 700 of the best-performing investors and by analyzing their 13F filings, we can determine the stocks that they are collectively bullish on. One of their picks is Murphy Oil Corporation (NYSE:MUR) , so let’s take a closer look at the sentiment that surrounds it in the current quarter. 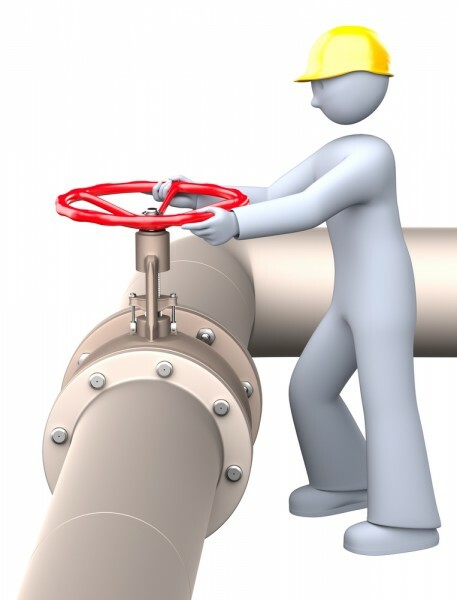 Is Murphy Oil Corporation (NYSE:MUR) a buy here? Investors who are in the know are taking a bullish view. The number of bullish hedge fund investments advanced by 1 recently. MUR was in 16 hedge funds’ portfolios at the end of September. 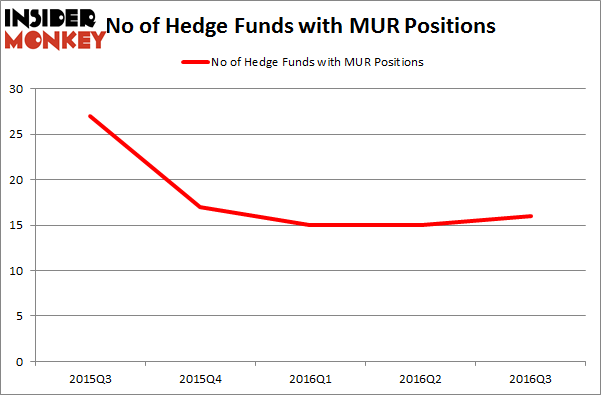 There were 15 hedge funds in our database with MUR positions at the end of the previous quarter. At the end of this article we will also compare MUR to other stocks including VCA Antech Inc (NASDAQ:WOOF), MarketAxess Holdings Inc. (NASDAQ:MKTX), and Herbalife Ltd. (NYSE:HLF) to get a better sense of its popularity. How are hedge funds trading Murphy Oil Corporation (NYSE:MUR)? At Q3’s end, a total of 16 of the hedge funds tracked by Insider Monkey were bullish on this stock, a gain of 7% from one quarter earlier. By comparison, 17 hedge funds held shares or bullish call options in MUR heading into this year. So, let’s examine which hedge funds were among the top holders of the stock and which hedge funds were making big moves. When looking at the institutional investors followed by Insider Monkey, Richard S. Pzena’s Pzena Investment Management has the most valuable position in Murphy Oil Corporation (NYSE:MUR), worth close to $290.6 million, accounting for 1.8% of its total 13F portfolio. On Pzena Investment Management’s heels is Till Bechtolsheimer of Arosa Capital Management, with a $25 million position; 3.3% of its 13F portfolio is allocated to the company. Remaining hedge funds and institutional investors with similar optimism encompass Ron Gutfleish’s Elm Ridge Capital and Cliff Asness’ AQR Capital Management. We should note that two of these hedge funds (Arosa Capital Management and Elm Ridge Capital) are among our list of the 100 best performing hedge funds which is based on the performance of their 13F long positions in non-microcap stocks. Is Cohu, Inc. (COHU) A Good Stock To Buy Right Now? Is 2U Inc (TWOU) A Good Stock To Buy? Is Bottomline Technologies (EPAY) A Good Stock To Buy? Hedge Funds Are Selling Concordia International Corp (CXRX) Is Cryolife Inc (CRY) A Good Stock To Buy? Is Tobira Therapeutics Inc (TBRA) A Good Stock To Buy?